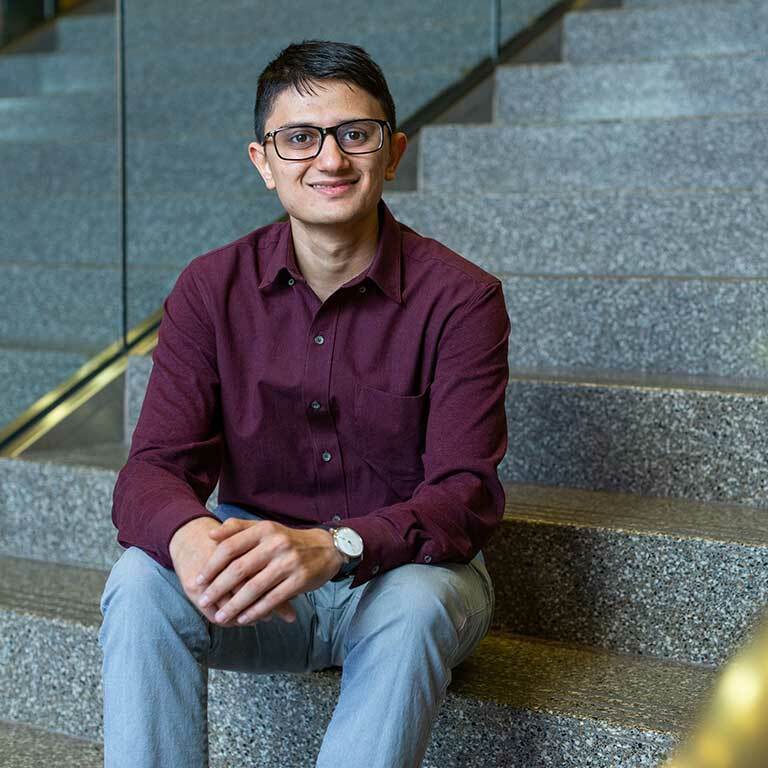 As an international student from India, Sohin Shah moved halfway around the world to pursue his Master of Science degree in Mechanical Engineering at the Purdue School of Engineering and Technology at IUPUI. Shah was at times unsure about living on his own for the first time in a new city, away from familiar people and places, but the diverse community he discovered in Indianapolis and at IUPUI quickly embraced him and gave him a sense of belonging. "Sohin is an amazing testament to the spirit of IUPUI: a school where you can come in without knowing anyone and engage in the campus community to have an amazing, enriching university experience," said Tabitha Hardy, Assistant Dean for Student Development and Academic Affairs. Shah's academic accomplishments and engagement on campus — in just two short years — are remarkable. But he is most proud of the relationships he has fostered and the friendships he has built. His work as a grad assistant in the IUPUI Graduate Office, as a Graduate Emissary for Student Diversity, and as interim president of the Underrepresented Professional and Graduate Student Organization (UPnGO) has been foundational to many of those relationships. "Sohin is truly an asset to the IUPUI community. He has been invaluable in planning events for IUPUI's graduate students, including a mixer during Weeks of Welcome, the Preparing Future Faculty and Professionals Pathways Conference, the Getting You Through Graduate School Professional Development Series, and countless others," said Hardy. Shah is also a 2018 Welcoming Campus Innovator, co-leading the project "Get UPnGO: An Initiative to Create A More Welcoming and Inclusive Campus for Graduate and Professional Students" with Hardy. 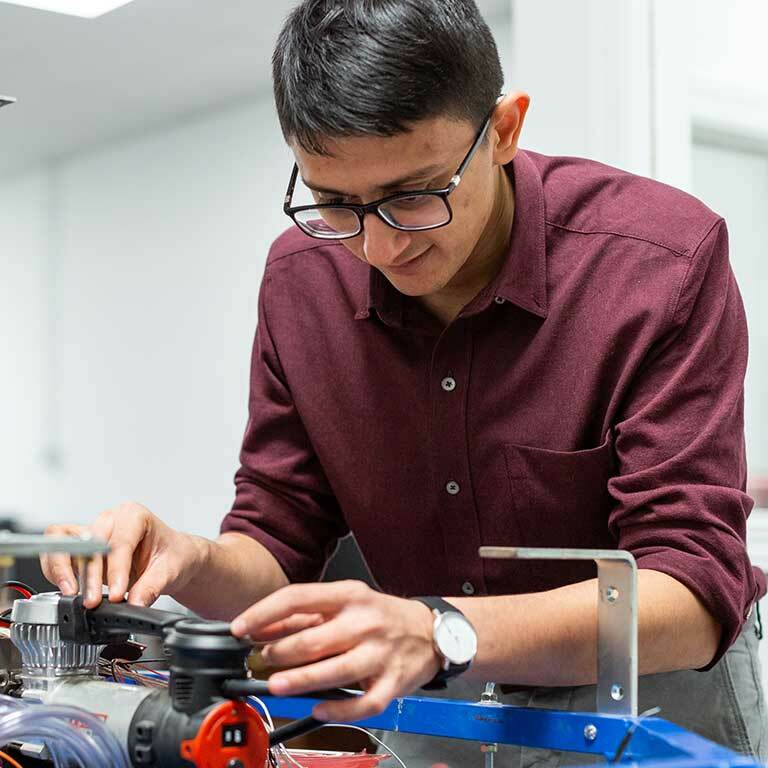 As a mechanical engineering student with a concentration in mechatronics, Shah is passionate about technology and robotics. Mechatronics focuses on electrical and mechanical engineering systems that create design solutions using robotics, electronics and telecommunications, among other specialty areas. 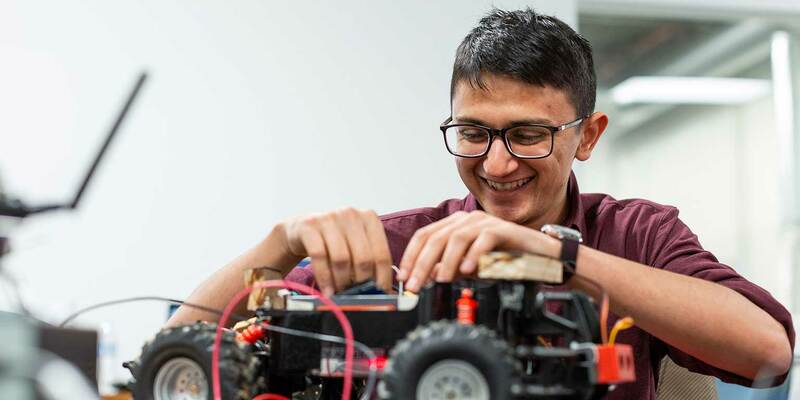 Those passions led to Shah's assistantship at the Mechatronics Research Lab and to his involvement with the IUPUI agBOT Challenge team, which participates in an annual series of competitions that encourage innovation in robotics and agriculture. The team's autonomous agricultural robot earned them a second-place finish in the 2018 competition. After he receives his graduate degree later this month, Shah will take his knowledge and research experience into the field of robotics while likely staying close to Indianapolis. "I truly believe that with the right application, many of the world's problems can be solved by collaborating with robots. During my career, I aim to find solutions to some of these problems in hope of a brighter future for everyone. I also hope to be continually involved with academia and contribute to preparing the next generation of engineers and scientists," said Shah.